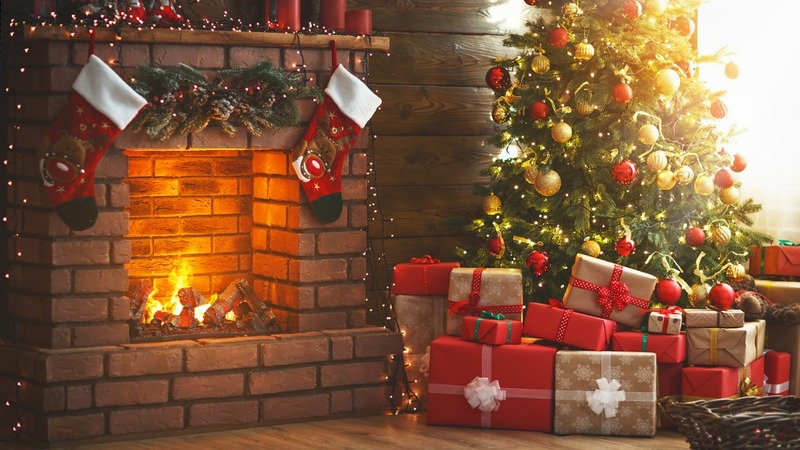 Get Your Home Ready for Christmas! It’s that time of year again. Kids have a bounce in their step and you can almost taste the magic in the air. Of course, it’s nearly Christmas! Whether it’s for your kids, your guests, or yourself, your Christmas decoration ideas should reflect the happiness that everyone feels. And if you’ve run out of ideas, we’re always here to help. Your dining table doesn’t get much love most of the year, so Christmas is a perfect time to take it up a notch. Decorate your table with tasteful candles, bring out the fancy silverware, and maybe add a wreath centerpiece. It will serve to remind your family that it’s the most wonderful time of the year! Make this year’s Christmas decorations into a family activity. Bring out the scissors, colored paper, and string and plan a fun activity with your partner and kids. A homemade snowflake, card, or ornament on the tree may be the best Christmas decoration idea you have. One thing for sure, there’s always work to be done on the Christmas tree. Upgrade the star at the top or the tree lights. Find a new tree skirt that matches the atmosphere of the room. Buy new ornaments to fill up the tree even further. As long as your Christmas tree scene does not look the same as it did last year, you’ve done well! If you want to go above and beyond with your Christmas decoration ideas, look no further than your chandelier. Nothing paints a more picturesque scene then ornaments, string, and Christmas ferns hanging from the chandelier. Going to the store and buying Christmas lights may be the easiest way to get noticed, but these decorations may not be the most environmentally friendly or energy efficient. But if you do, grab a ladder and run your lights along the outside of your house and enjoy a beautiful nighttime view. If lights aren’t your style or you want to do more, consider buying a wreath for the front door and Christmas ferns for the front porch. The dark green foliage will make your home look very welcoming from the outside. Your mailbox looks bland and desolate for most of the year, so why not make it happy with a bit of the Christmas touch? This is your chance to make a little vignette–start by dressing up the post and fastening a wreath on the box itself. Your windows are the perfect places to decorate as you’ll get to see them from both inside and outside your home. You can simply fasten a wreath on the window or if you’re feeling creative, design your own cute ornament. Maybe display a nativity scene or a neat Santa picture. Your windows are your blank canvas for Christmas-y ideas! These ideas should serve as a springboard for your own original Christmas decoration ideas. There is no right way to decorate your home for Christmas as long as you feel proud of the work you’ve done. Have a wonderful time spicing up your house in time for Christmas and thanks for reading!